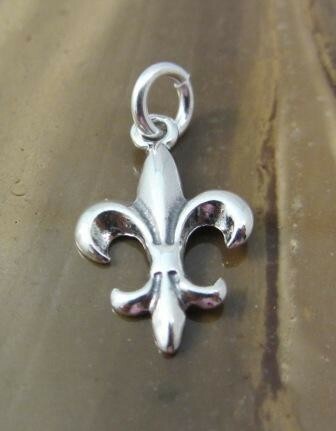 This fleur de lis charm is our most popular design. It is lightweight and traditional and is approx. 3/4" long including the jump ring. May be worn as a charm or pendant.